At Lily Garden Child Care Center, we understand that children learn best when provided with experiences in an environment that is positive, nurturing and developmentally appropriate. Our excellent curriculum incorporates a play-based program philosophy; using play as a learning medium fosters growth and development. 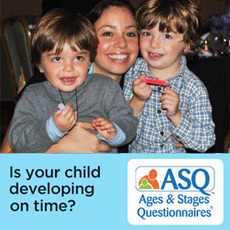 Our staff helps each child achieve developmental milestones so that they develop the appropriate skills for their age. Our mission is to foster independence, compassion, knowledge and respect for all children. We are committed to providing an environment where all families are valued, supported and encouraged. Full- and Part-Time Child Care: Full- and part-time inclusive child care is available for children from the community, children enrolled in therapy services, their siblings and children of Easter Seals DuPage & Fox Valley employees. Drop-In Child Care: This service are available for children while parents are volunteering at the Center and to the siblings of children receiving services. It is available on a limited basis and enrollment forms must be completed prior to attendance. Please call the Child Development Center Director, Melissa Jimenez, at 630.261.6283 to obtain enrollment, availability, and cost information at least 24 hours prior to the date needed. For more information or to schedule a tour of The Lily Garden, please call us at 630.261.6283.